This app helps you save your battery from being dead. It systematically and smartly sort out those apps which runs in background and keep your battery let drain. It will not allow your battery surviving when you install number of apps. Greenify do not let your phone or tablet process slowly thus you can have smooth and efficient working phone after installing this app. An intelligent application which easily converts your phone into a scanner that helps you manages documents. It scans a document which you can save and also share. It is best for those who want to scan, sync and then share. Cam scanner can smartly manage various contents in your phone. According to CNET, “an app you never knew you needed”. The reason is here, it keep you connected conveniently. You can easily receive messages on pc. It will never make you regret of missing any call or text message while working on PC. It shows all messages which can be easily shared among devices. An outstanding email managing app aimed to save your life from messing up. It is free app which is fantastically designed for managing the infinite mails you receive from various users. 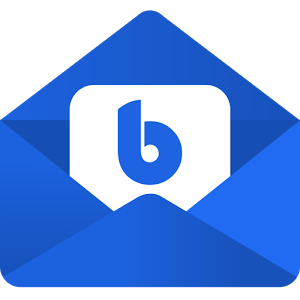 Via blue mail you can get push notification and also personalized multiple email accounts. Get yourself protected from intruders through App Lock. Now it is easy to lock any app you wish. It is easy and light for your phone. It is not safe to have only screen lock because still any one can break into your private stuff. Easily you can lock each and every item in your phone through App lock. It is most downloaded app of security till now. It is a most popular app for IOS which is free to download. It completely personalizes your phone by choosing your own selective ringtones, wallpapers, notification tones, alarm sounds and games. It has HD and live wallpaper for your phones which can be easily customized. It stands out as a complete weather application which provides all details regarding weather you need. It tells you Weather forecast, predictions, radar, and more. It easily get access to real weather of your desired location. It is most comprehensive weather forecasting app which is intelligent enough more than you think. Look up is a dictionary app purposed to use offline. It has a vast range of acees for online research too. It is having a huge data comprising of 2.2 lakh words and phrases. It is easy and friendly to use dictionary. It shows meaning of your selected word plus pronunciation for help. A complete guide and manager for the healthy life is Fitbit. It is famous app around the world which tracks all day activity, workouts, diet and much more. It can count your walks and hikes intelligently moreover it can help you strictly follow diet. It shows your consumption of calories per day that helps you change your way to healthy living. Call blocking is no more a problem. Mr. Number allows to block unwanted calls and messages you receive and makes you annoyed. As well as it protect your phone from spam and fraud. It is popular communication app that you must try.